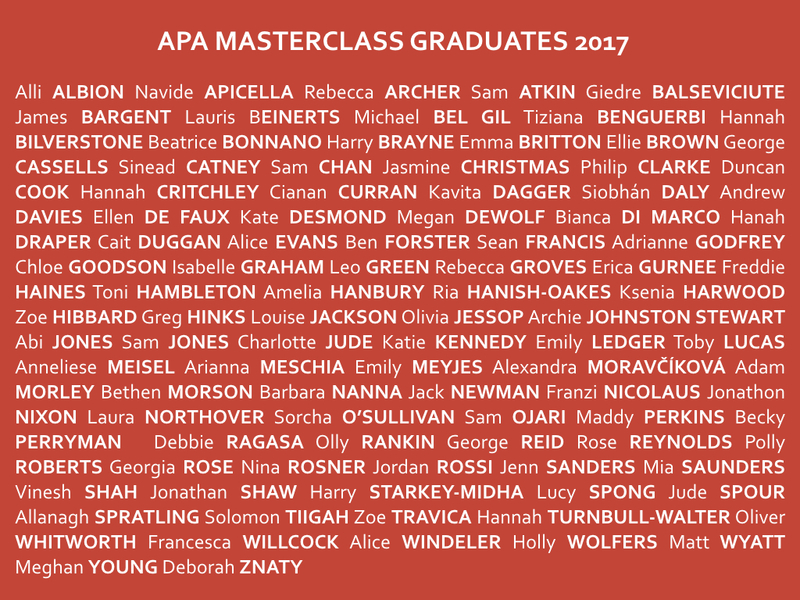 APA Masterclass 2017 Results Announced! Congratulations to our 2017 Masterclass students who completed the week long course back in Febuary! 97 students passed the exam – with 14 Outstanding students (90+ marks) & the majority receiving Distinctions (80+ marks)! We’re very proud of you all & wish you every success in the future.